It seems to be the week of the baby vegetable around here. They are cute, aren’t they? And often they cost a premium price. Interesting, though, now that I have a large garden, I figured it out. Baby veggies sometimes are those “rejects” which come about when you are thinning the plants. Like my arugula. The chard. The kale. All produced “baby” veggies when I was harvesting every other one, in order to give the others room to grow. Now, baby eggplants? I’m wondering about those. 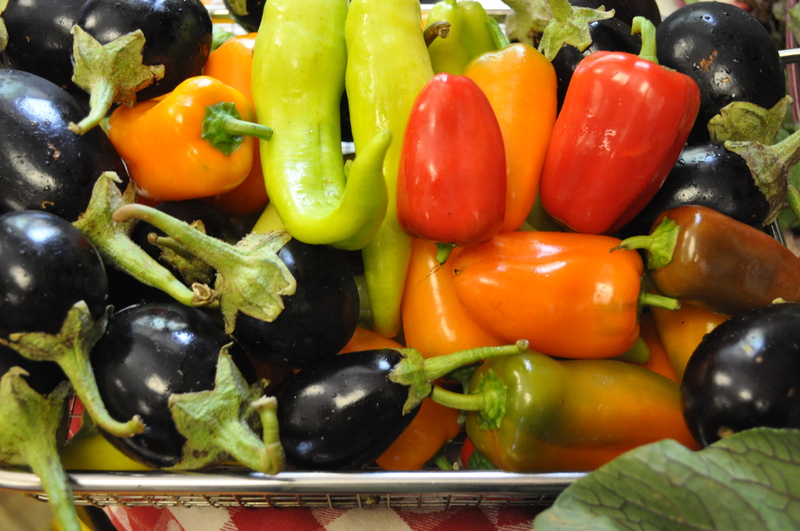 Also, those lovely colorful peppers. When my garden didn’t get the sun it needed, I had lots of veggies that looked like them. 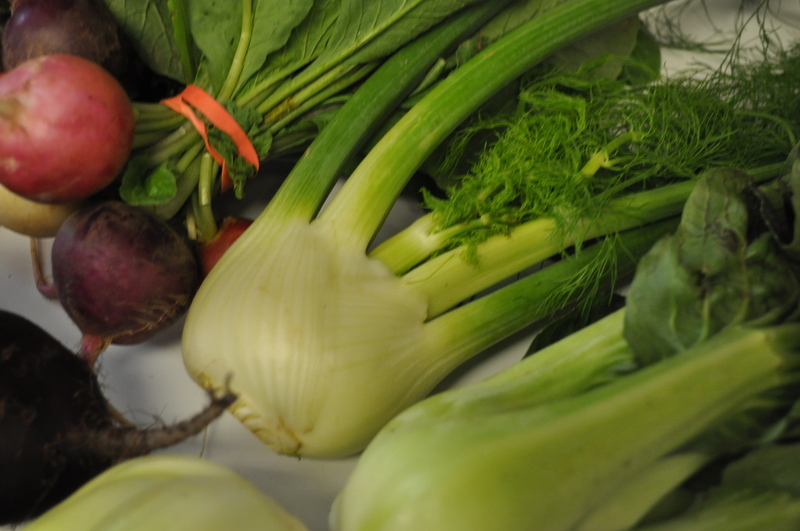 How about baby fennel and baby red bok choy? 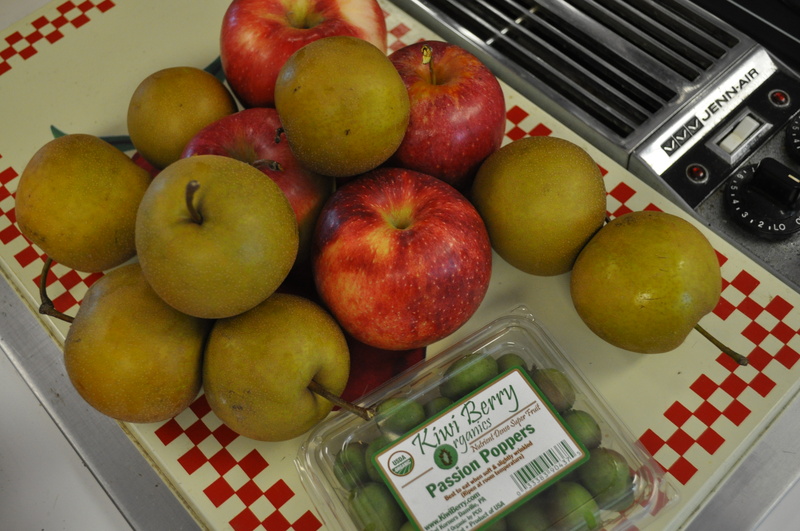 Two other items this week in my CSA basket. Let’s move on to fruit. Kiwi berries. Look just like baby kiwis. This week’s basket was fun to discover. I just need to think about what to do with all those peppers and eggplants. More tomorrow, after I ponder a strategy. I do love that basket full of color and sunshine. Too bad they can’t be preserved to look that great forever. They would make a really nice centerpiece. Posted in CSA, Food, Gardening, LFFC, Locavore, Real Food and tagged cooking, CSA, Food, foodie, gardening, Locavore, real food. Bookmark the permalink.